4416 SW 24th Ave, Cape Coral, FL.| MLS# 218075735 | Southwest Florida Residential Real Estate for Sale. 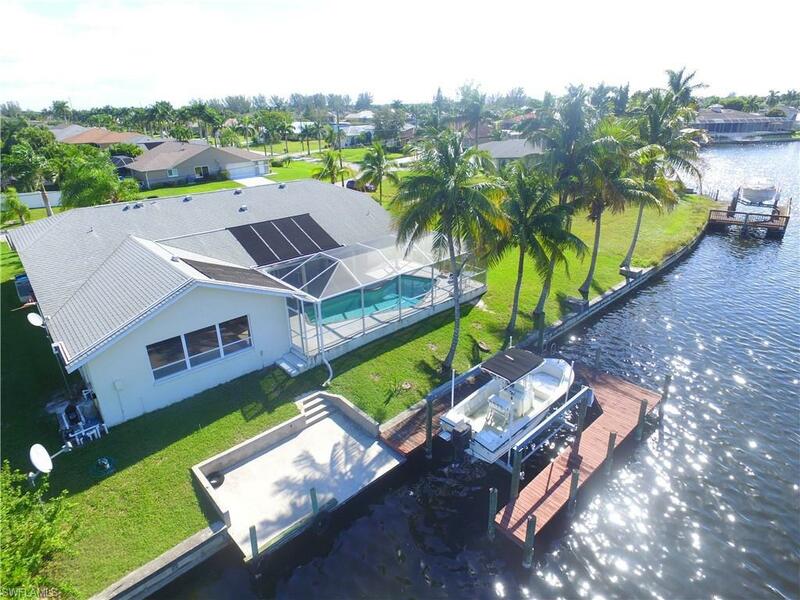 Welcome to this spacious 2, 442 SqFt 4 bed, 3 1/2 bath solar heated pool home, located on a 200' wide canal with west rear exposure providing gorgeous sunsets. Nestled well down in a quiet neighborhood west of Agualinda with virtually no road traffic and a short boat ride to the river and gulf. The views here from the master, kitchen and huge family room are amazing. Come see for yourself. As an added bonus, the home sits to one side of a 120' wide lot leaving a 40 plus foot side yard for your enjoyment. Quite a unique thing in Cape Coral to have a large side yard. A wrap around dock and 10, 000 pound lift round out this great offering. Call today for your private showing.